Slightly Mad Studios, presented their professional version of Project CARS which is in development to become a marketing media tool for the automotive world and will be officially launched in 2019. At the 2018 Los Angeles Auto Show, and in collaboration with Porsche AG, Slightly Mad Studios revealed the Project CARS Pro platform presenting the “Porsche 911 VR-Racing Experience” as an interactive marketing tool for the automobile industry. 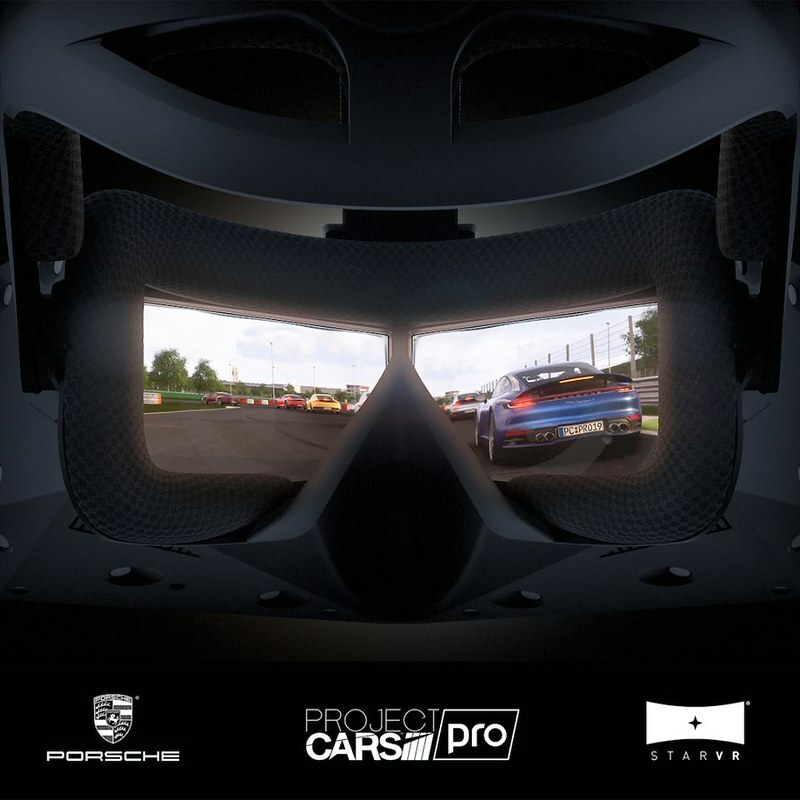 In collaboration with StarVR, the Project CARS Pro platform will deliver a truly unique, intense, and unrivaled level of immersion featuring the all-new Porsche 911 Carrera S.
The StarVR head-mounted-display (HMD) is a joint venture between Acer and Starbreeze, StarVR Corporation. It is a next-generation VR headset which features an industry-leading 210-degree field-of-view and integrated eye tracking, proprietary full RGB AMOLED displays with 16 million sub-pixels and custom designed lenses. While it is clear that the Project CARS Pro platform is currently exclusively aimed at the automotive industry, as yet, there are no details available regarding as to whether a consumer version may or may not be released in the future. Using Project CARS Pro in the unveiling experience of the new Porsche 911 Carrera S is very special for us, said Stephen Viljoen, Chief Commercial Officer at Slightly Mad Studios. We’re developing the professional version of Project CARS for the automotive world to deliver a unique and distinct product with the ability to create unparalleled client experiences, and working with Porsche on this project, utilizing our professional simulation product before its official debut in 2019, is very exciting!